Red Deporte, in collaboration with eight European football development entities, has taken part in the publication of the “Team Up Toolkit”: increasing youth employability through football-based programmes to improve the employability of young people through football-based programs.This project has been funded by the European Commission, and for two years we have travelled five countries collecting the best experiences in the field of employability, which are reflected in the content of the manual. Among the different approaches to increase employability, football is one of the abilities enhancing personal skills of the groups of young people with serious difficulties in accessing employment, so-called NEETs (Not in Education, Employment, or Training). Youth unemployment is a significant problem in Europe; with a youth unemployment rate of 16.9 % which is almost double that of adults. In countries such as Spain or Greece, youth unemployment rates are reaching 40 %. 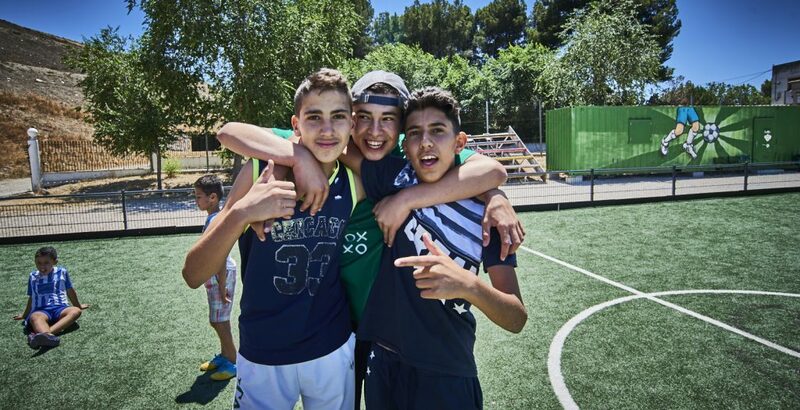 For this reason, Red Deporte joined the program’s promotion to help the most vulnerable groups to access a job. This project has been carried out by the organisations Rheinflanke, Sport dans la Ville, Otalom, Sport4Life, Albion in the Community, SARI, Red Deporte and led by streetfootballworld. The manual is available in the “Publications” section of our website.